This Tag selection edit text and list libirary help to pick up Text as Tag. Like Skill selection or other things what you want. 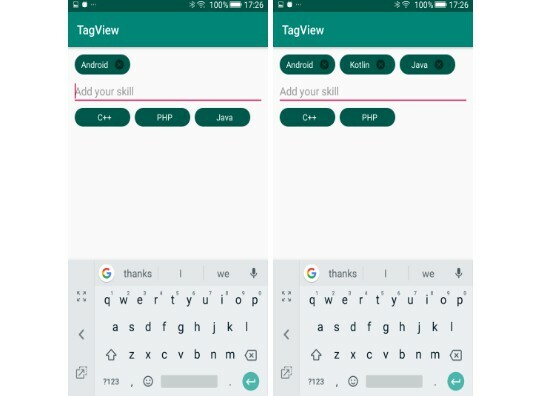 You can call it Tag with EditText You can select specific text from showing list or from editText text. Easy to us and Simple library.